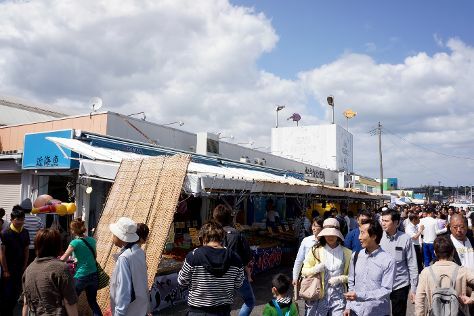 Dotted with beaches and parks, Hitachinaka makes for a great getaway along the Pacific Coast. Beachgoers flock to this city for a bit of relaxation on the shore. Sunbathe, go for a swim, explore the seaside park, or spend your days doing cultural activities. Away from the water, you'll have a number of things to do in Hitachinaka, including visiting tombs, temples, and fish markets. Hitachinaka is in Ibaraki Prefecture. Use our Japan trip maker to arrange the hows, wheres, and whens of your trip to Hitachinaka. Choose from a number of modern hotels and traditional ryokans during your stay in Hitachinaka. If the seaside park is a priority for your trip, book a hotel as close to the attraction as possible. Other visitors may prefer to stay by the beach, while business travelers can opt for large hotels near the center. If looking for more options, consider staying in the nearby city of Mito, just 10 km (6 mi) from Hitachinaka.